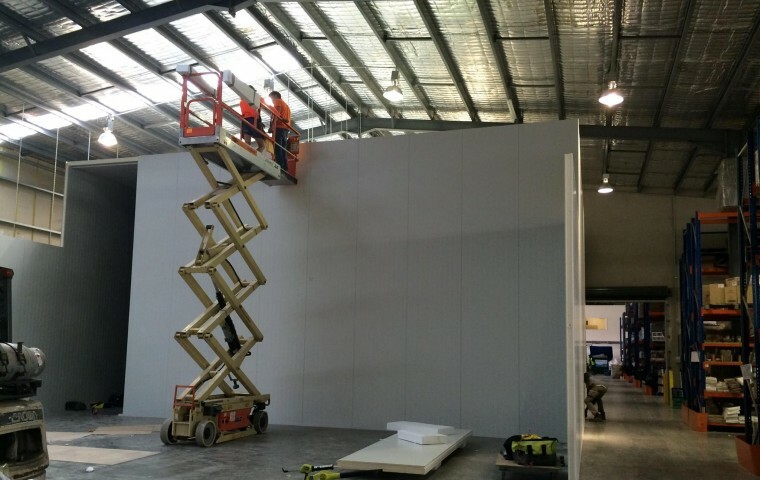 Due to strong growth in our Fresh and Refrigerated categories we are currently building new Cool Room facilities. Due to strong growth in our Fresh and Refrigerated categories and with a strong commitment to do what we do better we are currently building new Cool Room facilities. To keep up to and ahead of what is required in Food Safety we will be able to keep our products requiring refrigeration in one of “three temperature zones”. With rooms at 1-2C, 3-4C and 8-10C we will be able to separate Fresh Meat and Small Goods from Dairy while keeping Fresh Vegetables in their own temperature zone. This major Capital Expenditure will help ensure products delivered will have optimum life and freshness. As with all our Warehouses, unbroken “Cold Chains” and separation of our Frozen, Dry and Chilled goods in distribution these new Cool Rooms are not a requirement by law at this stage in Food Service Distribution, but we feel they add advantage to how we deliver our products to you our clients. Our business prides itself in being up with and ahead of an ever changing industry. We take Food Safety very seriously.